Ford's electric and hybrid plans | What Car? Ford is developing smaller petrol engines and working on a family of electric and hybrid power systems to reduce the fuel consumption and emissions of its cars and doing it with new platforms so that the technology can be used anywhere in the world. It has already started introducing a range of 'Ecoboost' petrol engines with direct fuel injection and turbocharging. That allows them to be up to 33% smaller in capacity than Ford's old power systems while delivering improved performance with up to 20% better fuel economy. And at the Detroit show chairman Bill Ford announced a 'comprehensive electric vehicle strategy' that will include battery-driven and plug-in electric vehicles plus petrol-electric hybrids within three years. 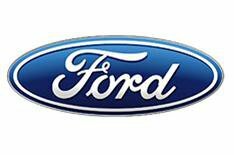 'This not a test programme it is a vital element of our businesss plan,' Ford said. They will be installed in mainstream models like the Focus and Fusion (a family saloon not available in Europe) and new platforms are being developed for both, specifically to make way for the electric drive systems. He admitted that the case for electric and hybrid cars is less strong in Europe because of the importance of the diesel market, but said there can be 'issues with diesels in some urban areas' (ie nitrous oxide and particulate emissions) that do not apply to electric vehicles. 'Given that the platforms are being developed globally, they could move to Europe relatively quickly if we saw an opportunity,' he added.